Major Core Combat Rebalance: Now, if you send only one unit type to battle, it fares poorly against regiments of the same size that mix more than one type, e.g. melee and ranged units. Technologies as a whole have been made more expensive and unrelated technologies have been “unpaired”. Some stats have been adjusted to make training some units viable. Buildings are now a bit easier to destroy. Temporarily, we have removed formations, and we plan to re-implement them again in a more balanced way. Naval Map Support: The computer opponent now uses transport ships to colonize other islands and attack enemy bases, but naval combat (i.e. ships against ships) is not yet implemented. Improved Fog of War: The Fog of War is the part of the terrain that has been scouted already but is not in vision range of your units or allied units. 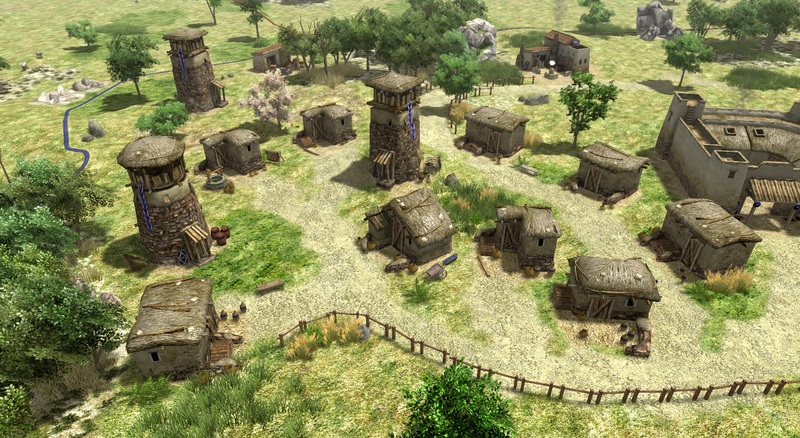 Buildings and changes to resources such as trees or metal mines are now also hidden in the Fog of War, and not just units. 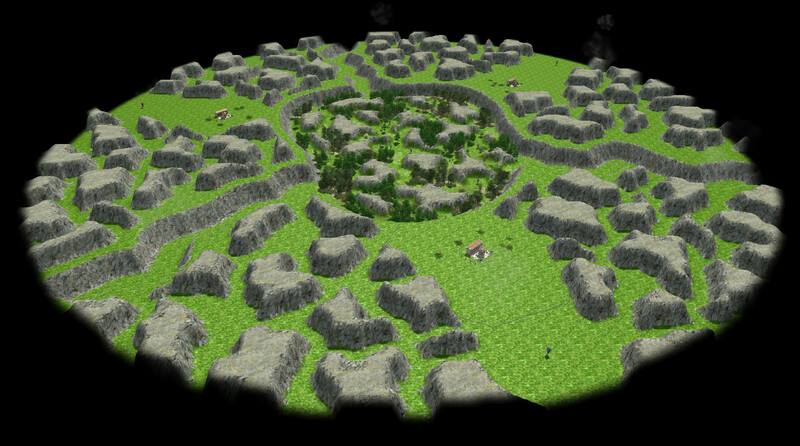 Hence, players now need to scout more often to find unclaimed resources on the map, hidden enemy outposts and more. 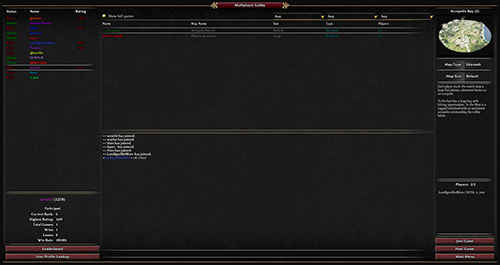 Multiplayer Lobby Profiles: Users can now view profiles of other players from within the lobby. Profiles contain user statistics such as rating, games won and lost, highest rating, and ranking that can be accessed on-demand. 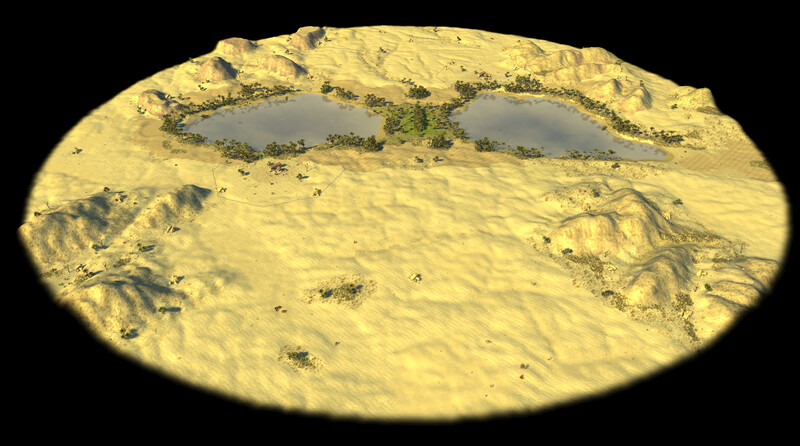 New Maps: Siwa Oasis (skirmish map) and Schwarzwald (random map). Or, if a certain building is destroyed (event), the player who owns it loses the game (action). Mod Selector and Improved Mod Support: The new Mod Selector allows users to enable or disable mods, save them or just restart into them to test them out. This way, it is a lot easier to test and play mods. 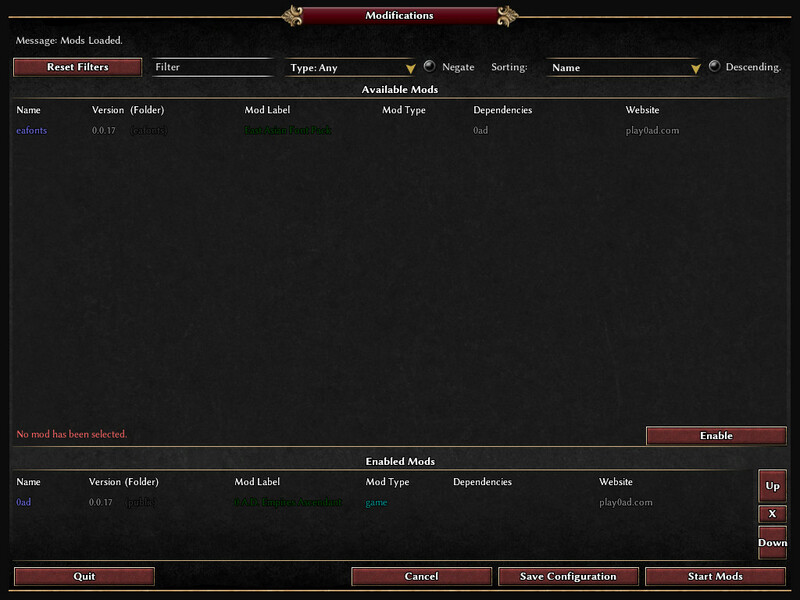 This can be reached at: Main Menu -> Tools & Options -> Mod Selection. 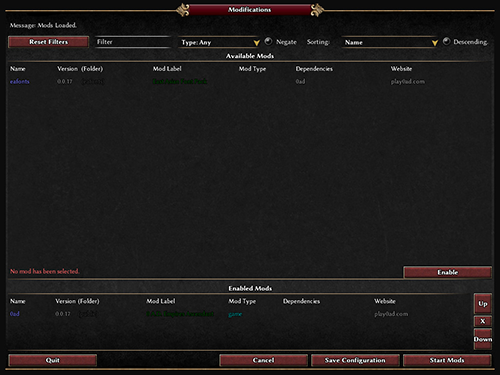 Also, modders can now easily make small changes to the game without having to copy and modify many files. Improved Culling for Shadows and Reflections: This fixes ugly pop-in effects for shadows and reflections while scrolling. Improved CJK text input using the Windows IME. 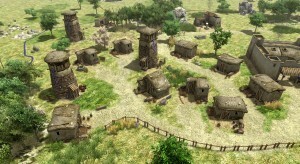 Music: Omri has created a new and improved version of Honour Bound — the 0 A.D. main theme. 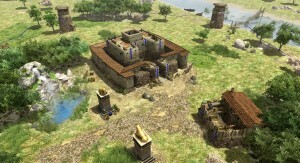 Miscellaneous: Hellenistic ranged siege animations added; Carthaginian ballista added; Iberian barracks replaced; Rotary mill added; Ptolemaic blacksmith modified; Gaul farmstead modified; Ptolemy I hero for the Ptolemies; Snow wolf modified; Iberian wonder added; New Iberian tower models added (see screenshots above). 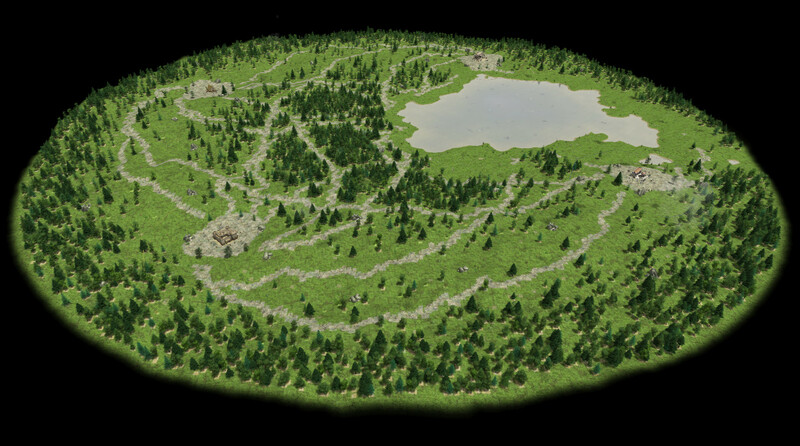 Do you want to try your hand at creating new maps? Especially now that triggers have been added? 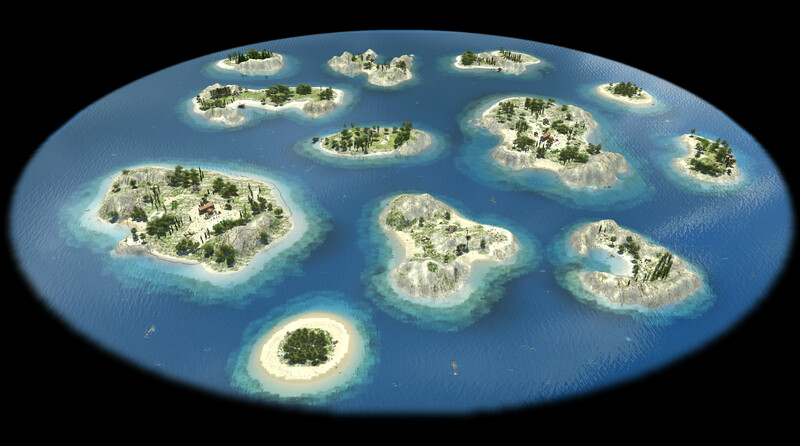 Then you get some extra motivation from the Council of Modders who are now hosting a map making contest. They do encourage you to make use of triggers and graphical mods as triggers and better mod support are important features in this release. The deadline is 30th November. “Quercus” is Latin for “oak tree”. The name relates to 0 A.D. as it could refer to the oak leaves used in the corona civica, a military honor given to a citizen who saved the life of other citizens or soldiers whilst in battle. Recipients were allowed to enter the Roman Senate, and were required to wear them at public gatherings. (Thanks, Jonathan L.!) This name suits this version well because of the many bugfixes and optimizations in Alpha 17 that make the game stabler and more mature, like an old oak tree. Also, the increased support for mods allows the game to easily diverge into more varieties of gameplay, like branches growing from a tree trunk. (Thanks, ltms!). For the next alpha, we welcome fan suggestions for words relating to the ancient world beginning with the letter R. Keep it original and related to the time frame portrayed in 0 A.D. (appx. 500 BC – 1 BC)!